Costa Rica OR Bust! But What to Pack? So, What Are You Bringing? 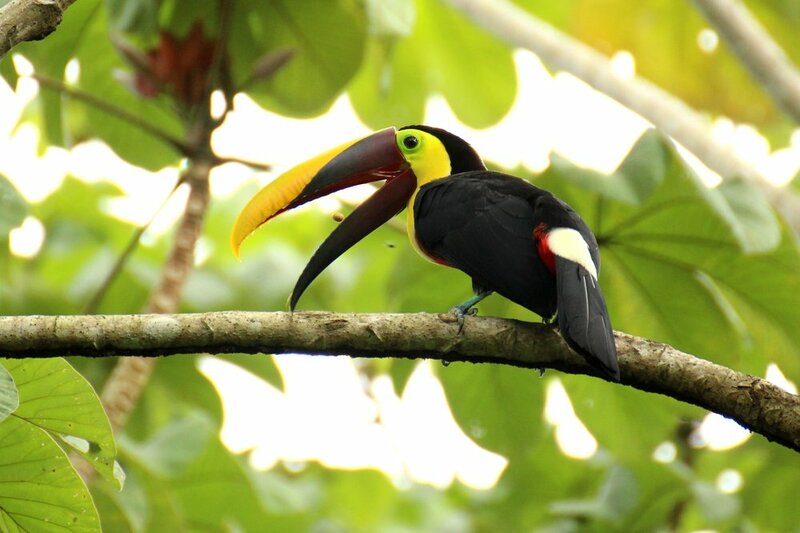 We are just one week out from our incredible adventure into the heart of the central American rainforest. It's a week which promises a lot. Days in the sun, surf, and canopy. So what do you pack? Simply put; lots of warm weather clothes- comfy and active as we will be hiking, yoga-ing, adventuring and staying certainly busy. This is September in Puerto Viejo, the hottest month of the year. Don't forget Puerto Viejo is a small town but does have shopping if you forget something! Don't overpack, probably a day pack and a small duffel bag should suffice! Remember to save some room for bringing back gifts and such too. Obviously, for ladies, it's a different story, but with Costa Rica, September is arguably the best weather month of the year, so feel free to pack light, with lots of shorts, a raincoat, sandals and also maybe a pair of closed toed shoes for workouts and rainforest hikes. Toiletries and undergarments! Puerto Viejo has shopping so if you forget some stuff, you should be totally fine to pick it up when you're there! Phone chargers, ADAPTERS, and passports..
Oh, and do you need a rain coat? What about hiking boots? The first would probably be fine, but don't worry about the hiking boots (seems sneakers should be fine). Remember, this trip is all about RELAXING, so take it day by day, step by step, yoga pose by yoga pose and don't forget to have a good time. Everyone travels differently and every location presents its own unique demands. Take a look at what we're bringing and figure out what works best for you. If you're surfing and have any gear you want to bring down, be sure to pack it. Remember TSA allows only 1 one quart sized bag with all liquids and gels under 3oz for your carry on. We know you're not packed yet but are you ready for the time of your life....? Yeah, we are too! Email me with questions if you have specific packing questions at: Nolan@voyedgeRX.com - thank you! Not making it this time around? No Worries! Join us in February as we escape the winter cold for the this tropical paradise! Only 10 spots left on our February tour!